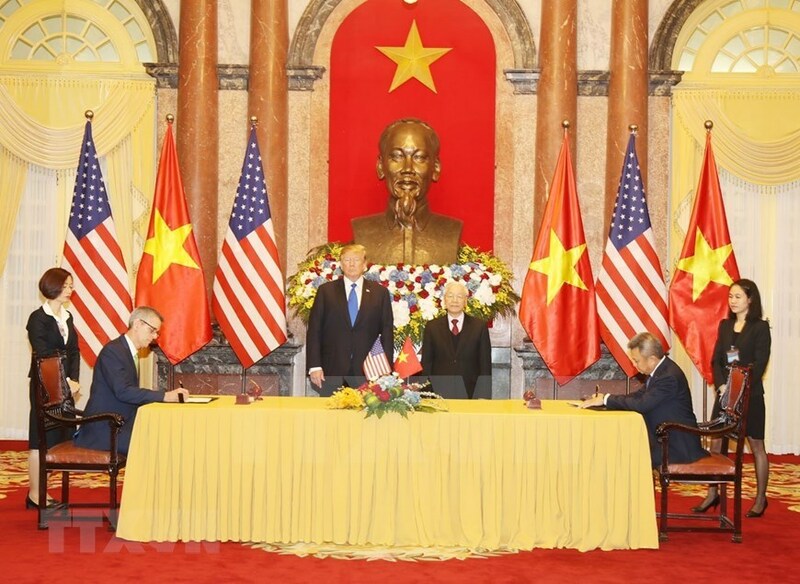 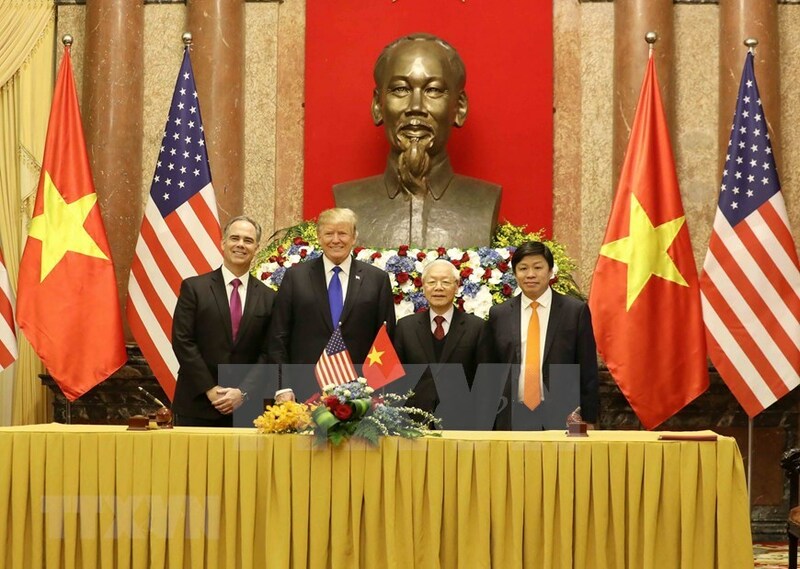 Party General Secretary and President Nguyen Phu Trong and President Donald Trump witnessed the signing of four cooperation agreements between Vietnam and the US with a total value of about 21 billion USD, in Hanoi on February 27. 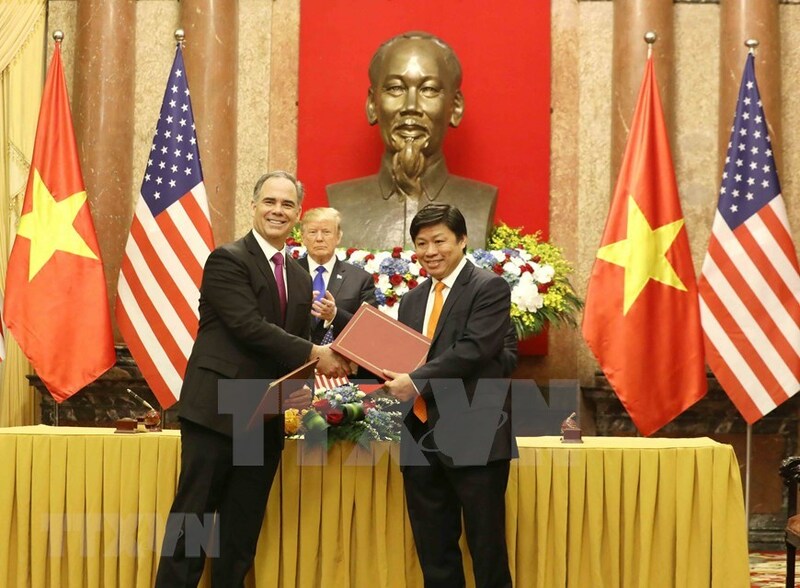 They include a trade deal between low-cost carrier Vietjet Air and Boeing for 100 new 737 MAX planes worth 12.7 billion USD and a 12-year-long agreement worth 5.3 billion USD between Vietjet Air and General Electric (GE) Aviation on aircraft engines supply and comprehensive maintenance service. 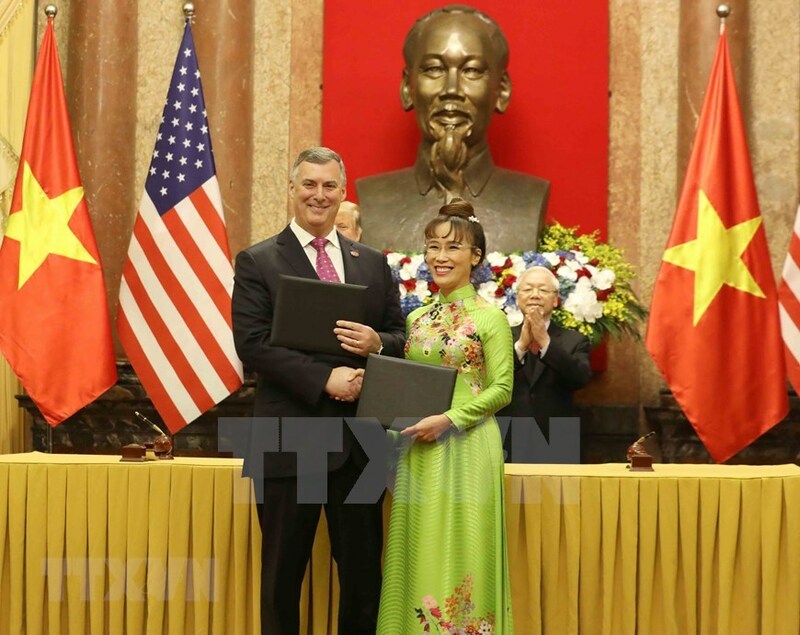 Vietnam’s newest airline Bamboo Airways also finalised a deal with Boeing to purchase 10 Boeing 787-9 Dreamliner planes worth nearly 3 billion USD. 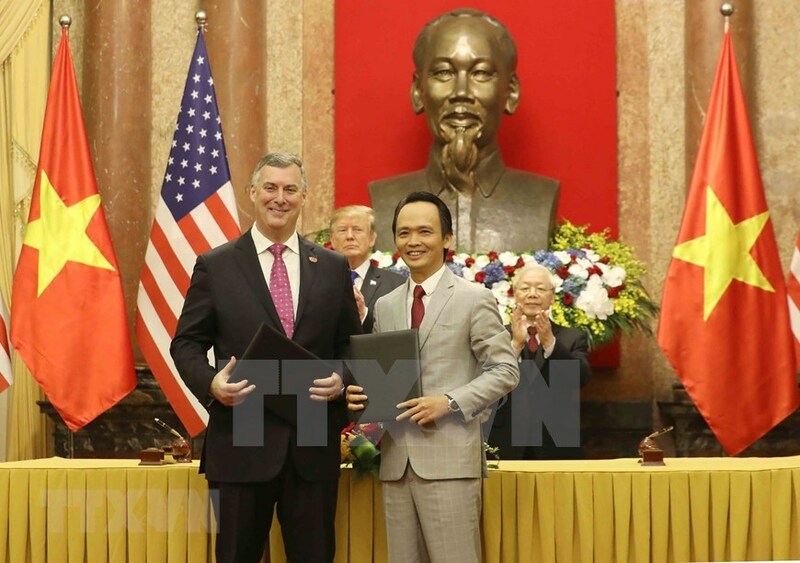 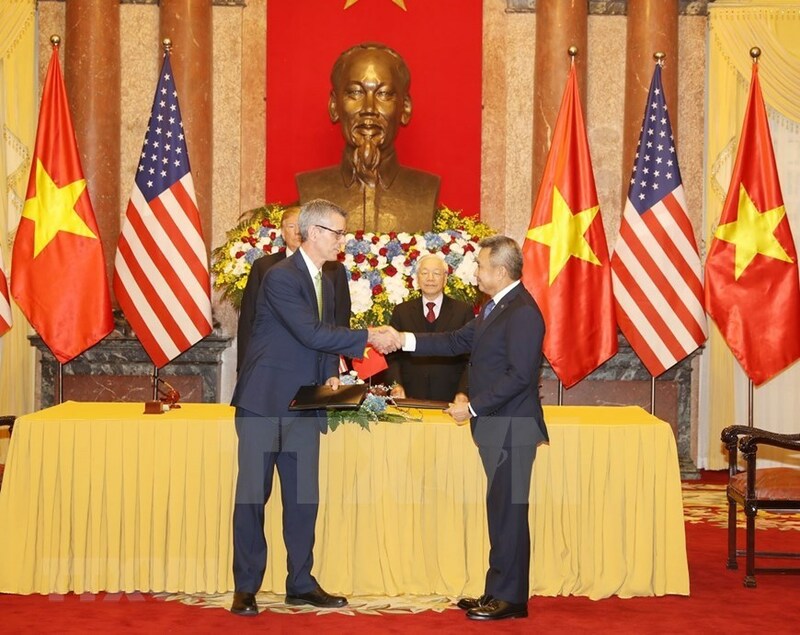 Meanwhile, the national flag carrier Vietnam Airlines and the US Sabre Corporation inked a Memorandum of Understanding on the latter’s provision of technology and aviation management software application services. 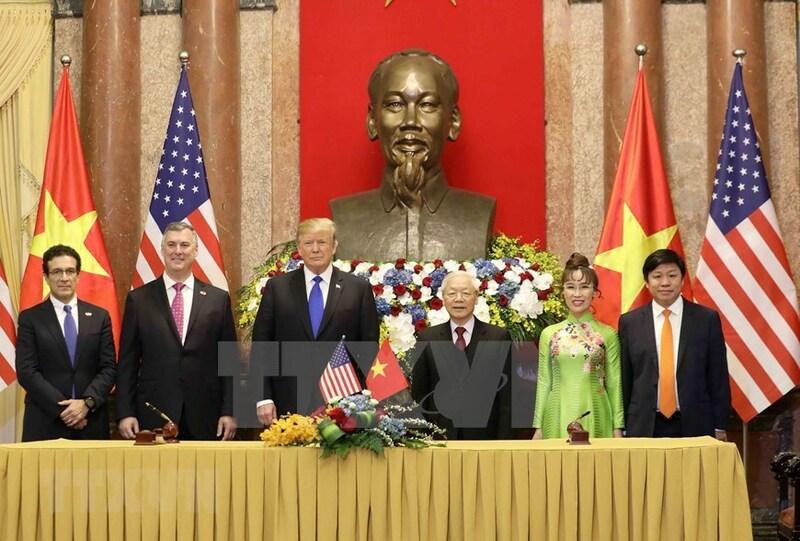 Earlier the same day, Party General Secretary and President Nguyen Phu Trong had talks with the US President, during which he welcomed the US and the DPRK’s decision to select Vietnam as the venue for their second summit. 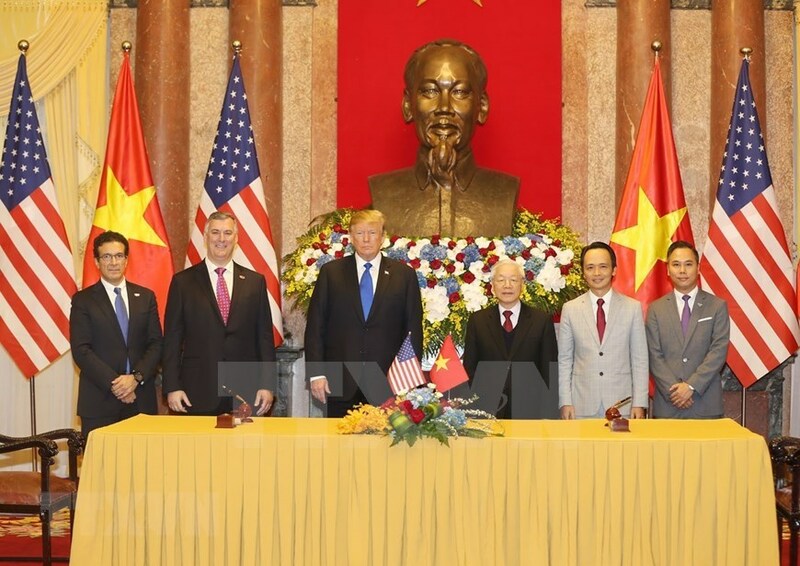 The top leader of Vietnam reiterated the country’s consistent implementation of an external policy of independence, self-reliance, multilateralisation and diversification of external relations, and proactive international integration on the principle of mutual respect for each other’s independence, sovereignty, territorial integrity, and political institutions. 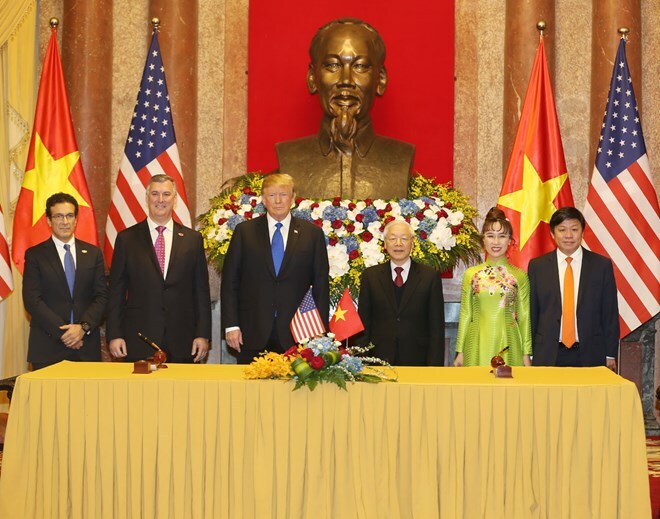 He also affirmed the Vietnamese Party and State’s consistent policy of attaching great importance to developing the comprehensive partnership with the US. 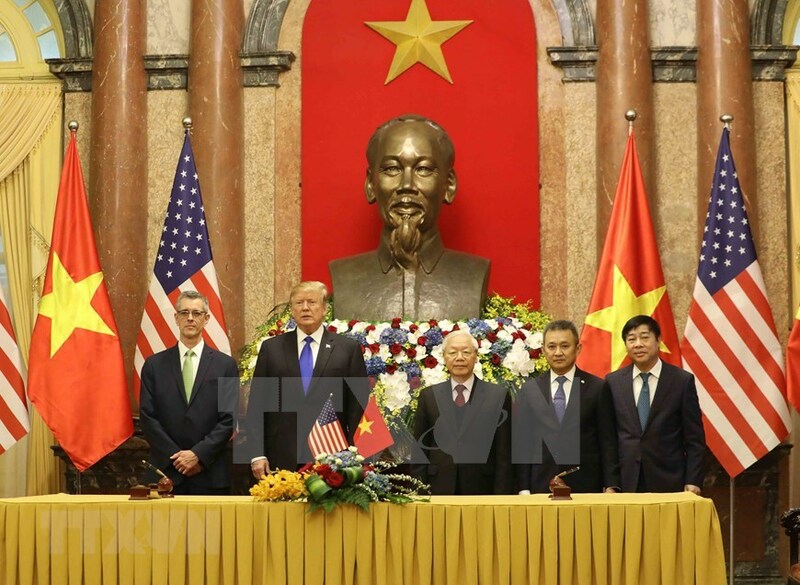 President Trump thanked Vietnam for its careful preparation for the DPRK-USA Hanoi Summit despite of short notice. 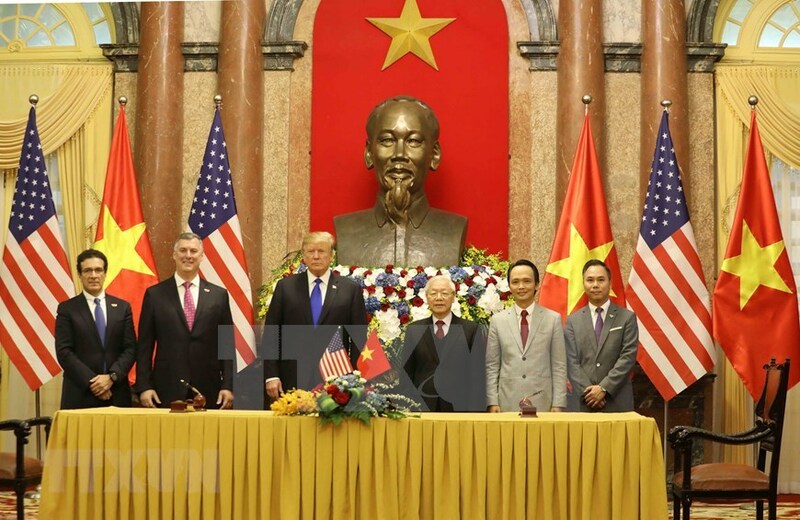 He said the US attaches importance to the comprehensive partnership with Vietnam as well as the role of Vietnam in the Asian-Pacific region. 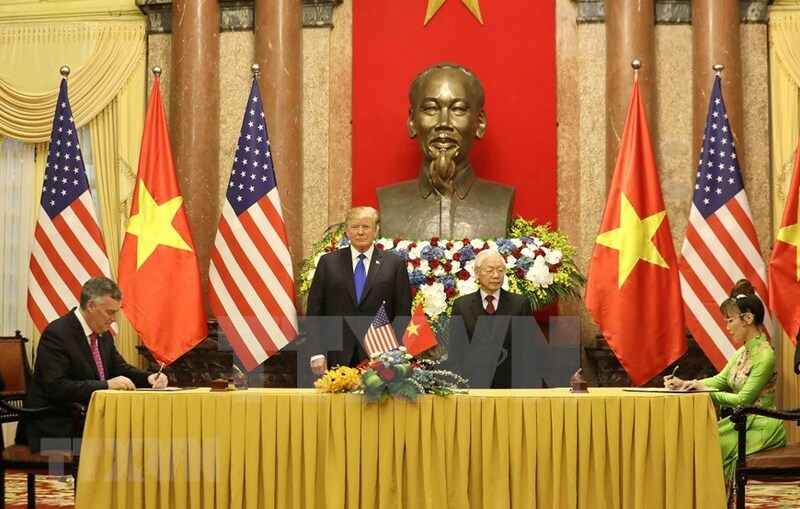 He added that the US will continue cooperating with Vietnam to promote their comprehensive partnership in a more pragmatic and effective manner in the coming time.